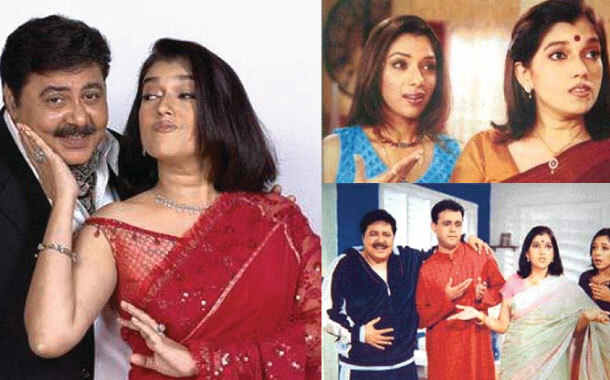 The popular television program ‘Sarabhai vs Sarabhai’ needs no introduction. I guess this is one comedy program which made us laugh so much that we still haven’t forgotten any of their episodes. The characters, the plot, the humour, their comic timing - supreme! The hilarious conversations between the elite Maya Sarabhai and middle-class Monisha Sarabhai spread tons of laughter in our rooms. I am sure each one of us has a favourite character and so now lets experience how our journey would be, when accompanied by these popular characters. If your travel date is Indravadhan Sarabhai, then you are sure to be entertained with his amusing sense of humour and melodic songs. From elite restaurants to roadside dhabas he will treat you with the most delicious cuisines and desserts. Enjoy the sight while he plays pranks on the locals or imitates any of them. If you wish to keep your secret ‘a secret’ then you are advised not to share with him. The trip will be loaded with joy moments unless you utter things about Rosesh Sarabhai and you know why. If your travel date is Maya Sarabhai, then your journey will be full of elegance and luxury. If you want to impress her, then your sophistication and etiquette will help you here. With her, you could experience the luxury palace museums and explore the rich artefacts. Be elegantly dressed and never ‘bargain’ even if you think the product is highly priced. She strictly follows the Swachh Bharat Abhiyan, so try and keep your surroundings clean for a happier trip. Enjoy the wacky interactions when she is bugged with some middle-class intervention. With the handsome Sahil Sarabhai as your travel date, you could be yourself as he is an easy-going, wise and soft-spoken guy. He will treat you in the best possible way by comforting you and cracking jokes with you. You both could also enjoy dancing on some trendy beats. By the way, if you need some tips on improving your looks, he could guide you - a cosmetic surgeon that he is! With her ‘happy-go-lucky’ attitude, this cheerful lady, Monisha Sarabhai will keep you occupied with her childish behaviour and innocent jokes. The journey will be full of real fun without a worry in the world. If you are on a beach with her, she will ensure that you get yourself completely wet and indulge in the beachside munchies like pani puri, shev puri and what-not. You can enjoy endless chats with her on any and every soap opera and get the latest updates. The best time would be to witness her bargaining skills and you could end up buying your stuff at unimaginable low prices. A word of caution - you will need to keep a track of this shopaholic girl and in the event of her vanishing, head to the place that reads ‘SALE’. With Rosesh Sarabhai as your travel date, remember, he is the artist and you are the audience. He will entertain you with his infinite creative but funny poems and you can’t escape, even if you manage to hide his written poems, he will either have another copy of it or will recite from his memory. No, it’s not done here! After he is done with his poems, get ready to experience his comical dialogues from his bizzare plays where he enacts an inanimate character. With him you could explore theatre plays and he would treat you with his customised pizzas. His cute face and sparkling eyes will keep you smiling throughout your journey! If Dushyant Painter is your travel buddy, then I would suggest, the lesser electronic appliances you carry, the lesser discomfort you are to face on your trip. Be it your cell phone or your high-end cameras, keep your fingers crossed that none of them stop functioning or even if they do, take all precautions and never let him know of this mishap. After all this, if he has managed to find that out, then distance yourself or else be the victim - he will use you in his demo to explain the working of your gadget. This travel date of yours will take you to Japan, the electronic hub which is his favourite destination. Word of caution - don’t exchange your cell number with this gadget freak or else be prepared to receive daily phone calls from him, advising you on which electronic product to buy and which ones to avoid. If Madhusudan is your travel date, then you will have to forget you have a tongue. You are aware of the consequences if you open your mouth, don’t you? Yes, you will only hear ‘hein?’ and this hard of hearing date of yours will keep bombarding you with all sorts of questions you have never dreamt of. Even if you try to answer him, he is capable of misinterpreting and the result - you are rewarded with even more questions. Our advise is that you take him to some dark place like a theatre, so that he can’t communicate with you (can’t see your lip moments) and is occupied with the movie - the loud sounds will be a blessing. Check if he doesn’t have a torch on his cell phone or else you are sure to be beaten by the theatre crowd! So, with which of these characters are you planning to travel?